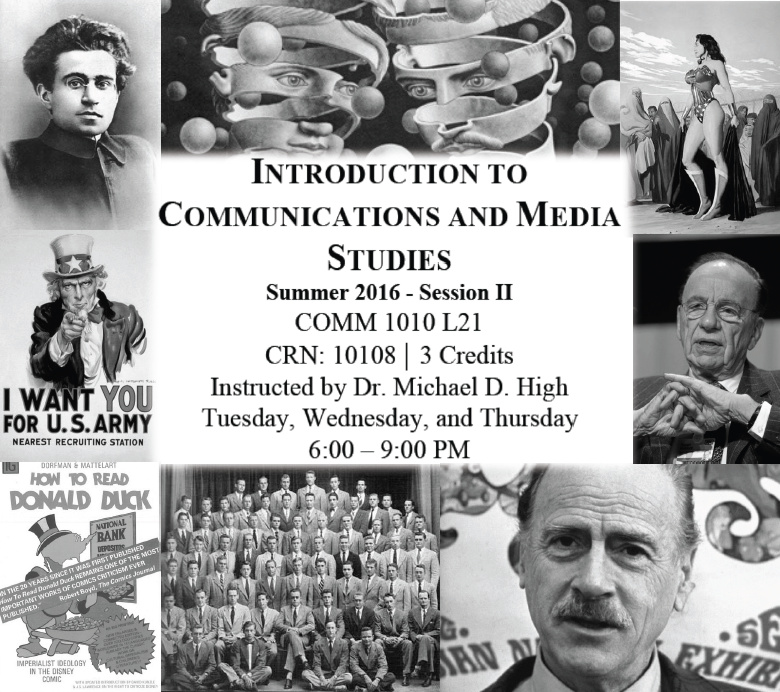 Claudia Rivera April 27, 2016 May 3, 2016 No Comments on Summer ’16 Course: Intro to Communications & Media Studies NOW open for Registration! The course is an introduction to the major approaches, theories and perspectives in the study of communication and media. Through readings and lectures students will learn the foundation necessary for advanced study in these fields, discussing such diverse topics as keeping secrets, human territoriality, the cost/benefit analysis of romantic relationships, the class construction of taste in hi/low culture, American media’s role in shaping global perceptions of capitalism, and many, many others. This course fulfills one of the two introductory course requirements for the old COMM major and substitutes for COMM 1000 to fulfill the departmental introductory course requirement for ALL the proposed new majors. Act quickly and register online before the course fills!